One of our redundant Internet Service Providers will be performing emergency maintenance on Internet fiber circuits. During this time, there will be two brief 2-5 minute period where some internet traffic may reroute to secondary internet providers. Internet Traffic: two separate 2-5 minutes windows while internet traffic reroutes to redundant providers. If on campus, you may see a short 2-5 minute disruption in your ability to get to some web sites or streaming services. If off campus, you may experience a short 2-5 minute disruption in your ability to get to some Augsburg services. The latest computer vulnerabilities, being called Meltdown and Spectre, relate to how the CPU (brain) of computers operates. The major software vendors are releasing patches to their software (Windows, MacOS, linux) to deal with the vulnerabilities. We are updating servers as the updates are made available by vendors. We may have to schedule some off-hours downtime for major services to complete the patching. For institutional PCs we’ll be pushing out updates once they are available. For Macs those will be pushed by Apple through the App Store under the Apple Menu. On your personal computers be sure to run your system updates. Early news reports suggest computers may become slower after the patching though whether that will be noticeable will likely depend on how old the computer is. We’ll be monitoring this as it continues to unfold. The afternoon of May 3 saw a widespread phishing attack across the internet. The phishing attack is an email that looks like a Google document sharing request as shown below. It is a convincing phish but note the odd To: address. That should be a warning sign that something is off. In some cases people recognized the name of the person but perhaps it was spelled slightly wrong. That’s another warning sign. The link, which you should not click on, takes you to a page that appears to request access to your Google account. Real Google docs do not need this access. Once you grant access they will try to send more messages using your account to your contact list. First, if you clicked the link you should change your password on Inside Augsburg. This is true for any phishing email that has fooled you into clicking on a link. 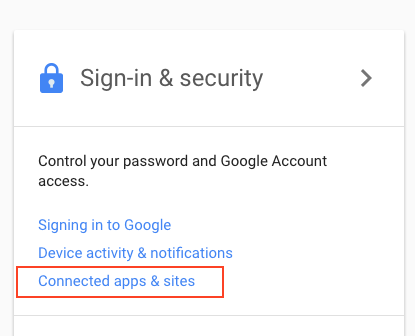 Second, and more importantly this time, is you need to review all connected Applications and Websites connected to your Google account. The phish has tricked you into giving their application access to your Google account. You do not want that. This is done in three quick steps. Click MANAGE APPS and review and remove any sites or apps that you do not recognize. This phish shows up as “Google Docs” which is very tricky. If you see that listed, remove it. How can I learn more about information security? We have a broad information security self-paced course in moodle that anyone at Augsburg can complete to improve their information security awareness skills. The course has about 35 minutes of short videos (closed captioned, no sound required). You can find it in moodle community at the following address https://moodle.augsburg.edu/moodlecommunity/course/view.php?id=946. In an effort to resolve the sporadic and unpredictable routing issues we will be restarting the the affected network switch. National Cyber Security Awareness Month (NCSAM) – celebrated every October – was created as a collaborative effort between government and businesses to ensure every American has the resources they need to stay safer and more secure online. At Augsburg, Faculty and Staff should yearly renew their Information Security Awareness Certificate through the short, 30 minute Moodle course. Staying safer and more secure online starts with STOP. THINK. CONNECT. – the simple, actionable advice anyone can follow. STOP: make sure security measures are in place. THINK: about the consequences of your actions and behaviors online. CONNECT: and enjoy the Internet. Whether banking, shopping, social networking, tracking our health or downloading the latest app, in today’s interconnected world, practicing good cybersecurity is critical. All digital citizens must learn to stay safer and more secure in their ever-expanding digital lives, including by preventing and responding to identity theft and scams, ensuring that home networks are secure, managing the security of mobile devices and teaching children to use the Internet safely, securely and responsibly. Week 1 shares simple ways we can protect ourselves and communities along with actions to take if impacted by a breach, cybercrime or other online issue. It will also examine the outlook for cybersecurity jobs and how to engage young people in pursuing careers devoted to protecting the Internet. As a part of utility relocation preparation for Hagfors Center construction, Information Technology is required to perform maintenance on one of our redundant fiber internet connections. On Tuesday, April 26, beginning at 9:00pm and lasting until approximately 11:00pm, our redundant fiber connection will be reconfigured potentially causing a 1-2 minute network outage while Internet traffic flows to our other internet connection. If on campus during this time, you may experience a 1-2 minute of issues contacting some web pages before resolving correctly. Simply refresh the page and it should resolve shortly. Access to Moodle on-campus will be uninterrupted. If off campus during this time, you may experience a 1-2 minute period where you are unable to access Augsburg web sites (moodle, etc) before resolving correctly. Simply refresh the page and it should resolve shortly. Also, Augsburg network services at Luther Seminary for the PA Program will be unavailable for the duration of the reconfiguration. You may recently have heard about Heartbleed, one of the biggest internet security flaws known and that essentially is a security flaw that makes many site passwords vulnerable. While accounts at Augsburg have not been directly affected by HeartBleed, it is worth taking the precautionary measure of resetting passwords you use for social media sites such as Facebook, Instagram, Pinterest, and email accounts through services such as Yahoo and more. It is especially important that departments and individuals who manage official social media accounts for the College (such as athletic and academic departments) change the passwords used for these sites. IT staff further recommend that that Augsburg accounts each have unique passwords. A best practice is to avoid using the same password for multiple sites. This situation clearly illustrates the risk. Please contact your LFC if you have questions about resetting your password. With the pilot long over the first wave (the early birds!) 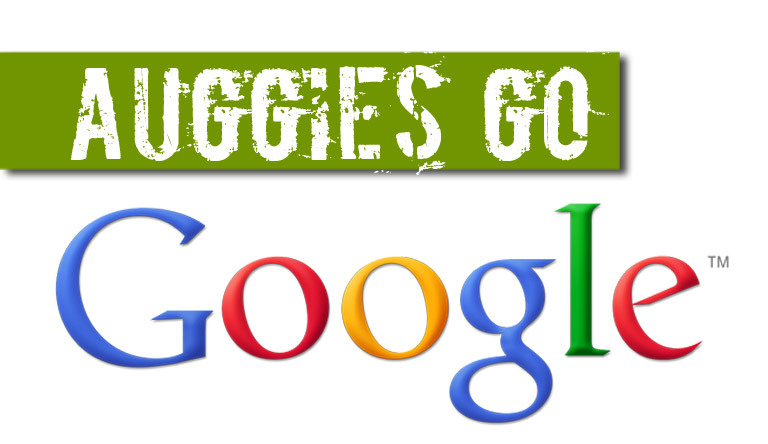 have moved to google apps for education (GAE) almost 2 weeks ago. We now have over 100 faculty and staff in GAE as well as about 300 students. In less than a month everyone will be switched. 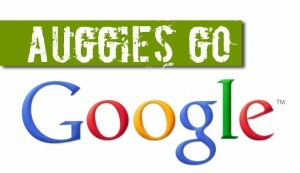 This is a good opportunity to point out some links to what’s coming in google apps. One of the main new realities with GAE is that it will always be changing as google adds more features. We won’t have control over when the new features appear. They will just appear. Get ready! The information technology department has started to convert over to google as part of our pilot phase of the Google project. I’ve been using Gmail for my Augsburg mail now for two days (I’ve used gmail.com for my personal email for a few years). So far I’m really enjoying it. I’m finding all of my mail tasks faster than in GroupWise and I find I can file messages away by using labels much much faster than I could in GroupWise with folders. This will help me keep my inbox smaller which I really need to do! I’ll see how I’m doing one week from now. Those departments will be switching over in the next week. We will use feedback from those departments to help inform the IT Advisory Group when they meet in April to decide on the move. So far all the feedback from the brown bag sessions in December and January has been positive and many good questions were raised and added to the FAQ. If you have any questions feel free to ask your LFC or the Techdesk.